Hi-Spek to sponsor What Hi-Fi? Sound and Vision Awards 2010 | What Hi-Fi? The Readers' Award is voted for by the public on whathifi.com, with a shortlist of products being drawn up from those nominated by users on our Forums. The shortlist of nominated products will be announced on August 13th, when our special Readers' Award voting page goes live. Readers will then have until Friday, September 10th to vote online for the product they would like to win. The result, along with the rest of the What Hi-Fi? Sound and Vision 2010 Awards, will be published in the magazine and on the website on October 15th. Naeem Sattar, managing director of Hi-Spek, says: "We are delighted to be the official sponsor of this year's What Hi-Fi? Sound and Vision Readers' Award, because not only are we celebrating our 25th anniversary this year, we are also launching our ambitious growth plan." 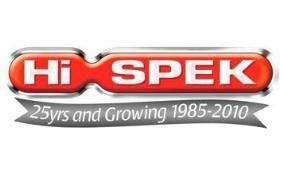 As part of its sponsorship, Hi-Spek will offer readers of What Hi-Fi? Sound and Vision and whathifi.com special deals on some of our Award-winning products. To vote for the product you'd like to see win our 2010 Readers' Award, go to our dedicated Awards website.